Barnshaws has been keeping its fingers green this summer, as JW Lees 190th Anniversary garden won a gold medal and ‘Best Show Garden’ award at the 2018 Royal Horticultural Society (RHS) Flower Show Tatton Park. The garden featured a number of fabrications from the Tividale-based metal bending experts, which displayed the Manchester brewer’s theme of ‘From Hop to Glass’. Designed by Leon Davis, JW Lees: From Hop to Glass combines grasses and powder-coated metal sheets in a circular arrangement to represent the company’s 190th anniversary and the brewing industry in general. ‘Frothy’ planting aims to embody the head of a pint of beer, with a curved timber bench mirroring the comfortable layout of a bar. A ‘lazy river’ encompasses the garden, providing a water feature. This section owes its existence to the fabrication expertise of Barnshaws, who fabricated the river channel. Leon contacted Barnshaws to help with the garden early in the project, due to the business’ experience in delivering curved metal architectural elements. 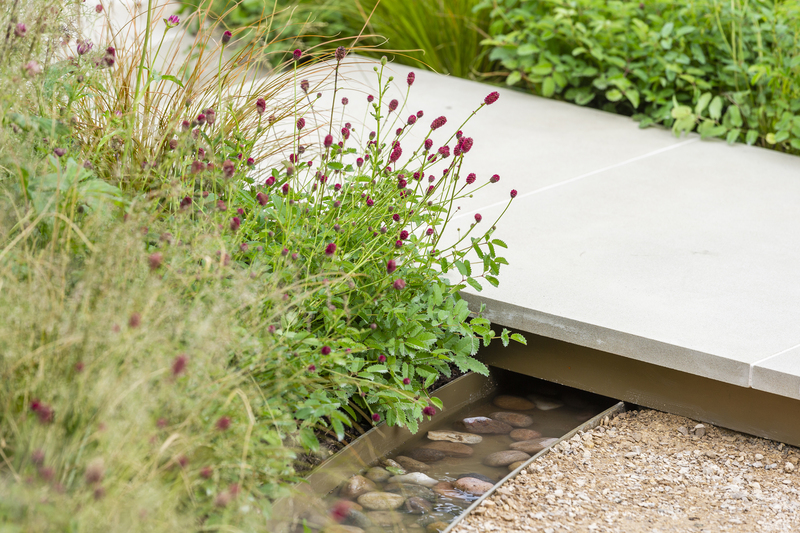 Barnshaws was able to deliver fourteen 80 x 6 mm steel channels, curved to suit the circular perimeter of the garden. The design also included seven 200 x 6 mm washer segments, which were sourced from a Barnshaw’s profiling company. All fabrications were delivered to the garden well within a month of the initial order, allowing plenty of time for installation before the event took place. 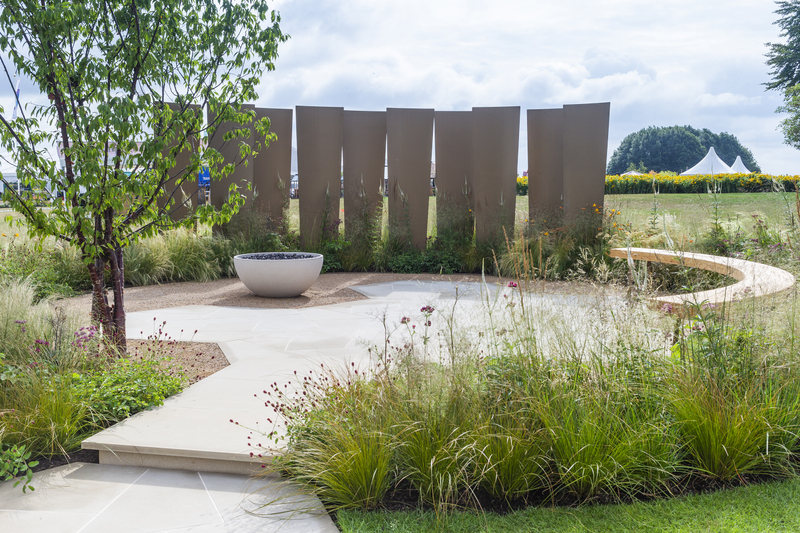 The design proved to be a huge hit with the judges, with the garden receiving two separate awards, a gold medal and the prestigious ‘Best Show Garden’, to the delight of all those involved. Worthy of a drink or two, no doubt. Photo 1: Barnshaws has been keeping its fingers green this summer, as JW Lees 190th Anniversary garden won a gold medal and ‘Best Show Garden’ award at the 2018 Royal Horticultural Society (RHS) Flower Show Tatton Park. (Photo Courtesy of The Royal Horticultural Society). Photo 2: A ‘lazy river’ encompasses the garden, providing a water feature. This section owes its existence to the fabrication expertise of Barnshaws, who fabricated the river channel. (Photo Courtesy of The Royal Horticultural Society).